Live in one and rent the other unit! 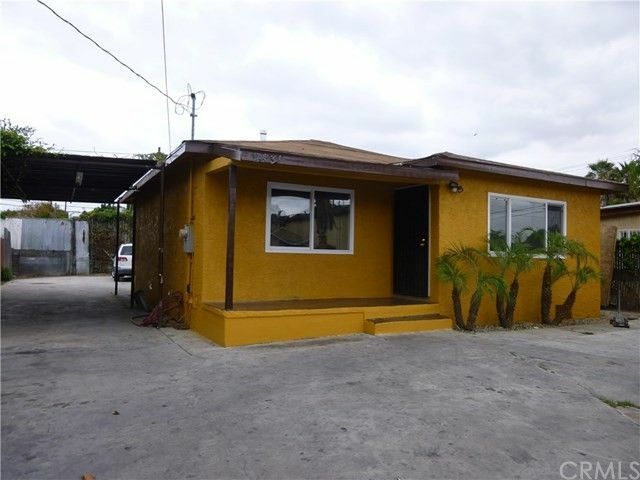 This Beautiful Property was remodeled and updated in 2012 with New copper plumbing, New electrical panel and wiring, New windows, New flooring, New bathroom, New kitchen oak cabinets, recessed lighting and much more. Offering an open-concept interior floor plan, gated private parking, huge lot and a two car garage. In addition, building plans have been approved and paid for by the owner to build a 2 Story Accessory Dwelling Unit & New Garage. The property sits on two lots: APN #6154-012-021 & APN# 6154-012-0222 with a total of 4932 SQFT lot. Located within unincorporated area of the County of Los Angeles. There is no Pre-Sale Report required and all building permits are acquired at LA County. Buyer to verify all information. Conveniently located near schools, parks and transportation. Don't Miss this Upside Income Opportunity!